India vs Sri Lanka Live Streaming Cricket Score: It’s the IND vs SL 1st ODI match of the 5 one-day game series today in Dambulla. The men in blue are on the tour of SriLanka for a tournament which includes test, 50-over, and t20 matches. The Indian team has beaten the hosts and clean sweep the Test series by 3-0. Today’s ODI is a day-night match. It’s also the 151st game between the two nations in their one-day international history and 57th in SriLanka. No other two teams have played this often against each other. Pakistan vs SriLanka stands second with 148 games and Australia vs West Indies at #3 with 139 games. The team India has won the toss and opted to bowl first. The match starts at 2:30 pm IST and is being played at Rangiri Dambulla International Cricket Stadium. The live streaming of IND vs SL is available on www.sonyliv.com while Sony SIx, Sony Six HD, Sony Ten, and other Sony Ten network channel broadcast/telecast the match on Television. Rohit Sharma has been appointed as the new ODI vice-captain for Indian team. He has urged his men not to become self-satisfied and reminded the teammates of the surprise loss to SriLanka in the Champions Trophy 2017 opening game. It’s the second phase for Virat Kohli led India after Test series. India has been played very good in the limited over format while Sri Lanka has been struggling for a good form. On one hand, India defeated West Indies by 3-1 in the ODI series which concluded last month. On the other hand, Sri Lanka lost to 11th ranked Zimbabwe by 2-3. With good form, Indian cricket team is favorite to win today. 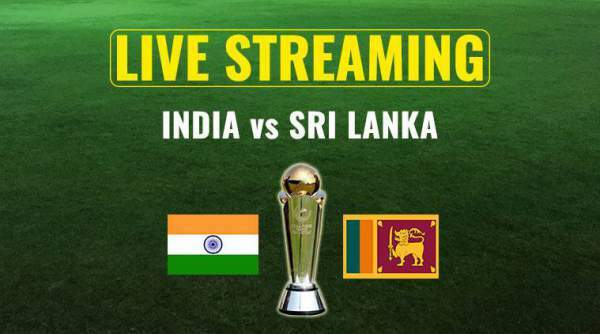 Come back for India vs Sri Lanka Live Streaming, live cricket score, commentary, ball by ball updates, scorecard, match result, full video highlights, and much more. What ar e your predictions? Stay tuned to The Reporter Times for more updates on Cricket.